With portable hard drives, USB is king (it’s your only option with the MacBook Air [ ] and the latest MacBook [ ]), though there are FireWire and eSATA options. 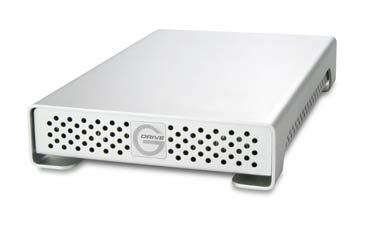 Some drives are bus-powered, which means they draw power from a FireWire or USB connection on your laptop, with no power adapter required. But some iBooks and PowerBooks do not supply enough USB bus power, so you’ll have to either use a special cable that connects the hard drive to two USB ports or use the drive’s power adapter. There’s always the chance that you’ll lose your hard drive, so it’s wise to secure your data. 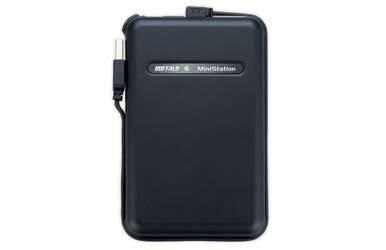 Data Locker offers portable USB 2.0 hard drives (160GB [$160] or 320GB [$200]) that feature hardware encryption options and a numeric touch screen where you enter a PIN to unlock the drive. The LaCie Safe Mobile Hard Drive with Encryption ($190) provides 160GB of secure USB storage through hardware encryption and fingerprint authorization. There’s also third-party software, like the free TrueCrypt, that encrypts content on just about any external drive. Though it’s not as secure as hardware-based encryption, software encryption can stop all but the savviest hackers from accessing sensitive data. Capacity Capacities range from 160GB to 500GB. If you have lots of media or graphics files, more is better. More capacity usually means a bigger bite out of your wallet. Durability Falling off tables, surviving coffee spills, getting tossed with the crumbs at the bottom of your bag—these are just a few things portable drives face while serving duty. If you’re accident-prone, look for case designs that reduce impact shock, prevent sliding, and provide protective port covers to prevent dust bunnies from wreaking havoc on your connection.